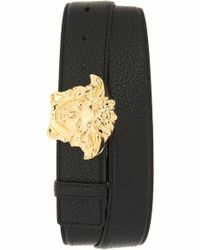 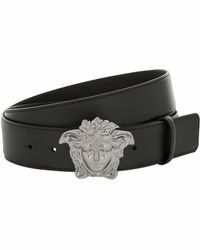 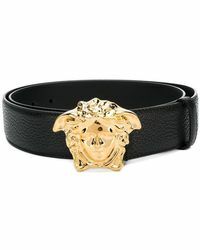 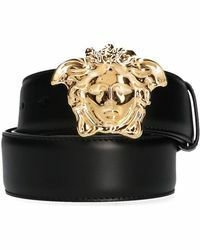 Versace belts have a bold aesthetic. 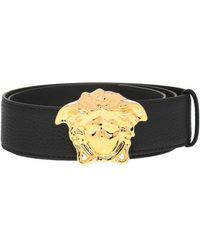 Easily recognizable by their graphic prints, clashing colours and standout embellishments, these pieces are inspired by rock and roll. 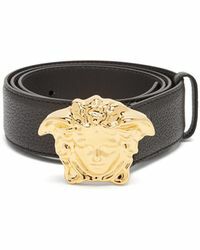 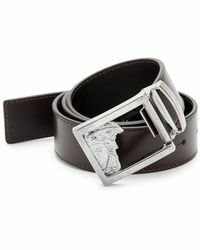 Crafted from leather, these belts also come adorned with traditional buckles, iconic Medusa hardware and studs. 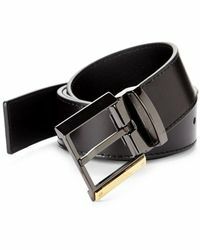 Add them to even the most simple of outfits and you'll have a distinctive focal point.